Costs – San Antonio, Texas enjoys beach-worthy summer weather year-round. Make sure you have the right trees for shade and perform regular maintenance to keep them that way. Learn more about the average costs for maintenance on trees in the city area, including trimming, pruning, cutting and removal when needed. FAQs – San Antonio’s summers can still be right for certain trees. If you need recommendations, we have the information on which ones thrive under the sun, including fruit trees. 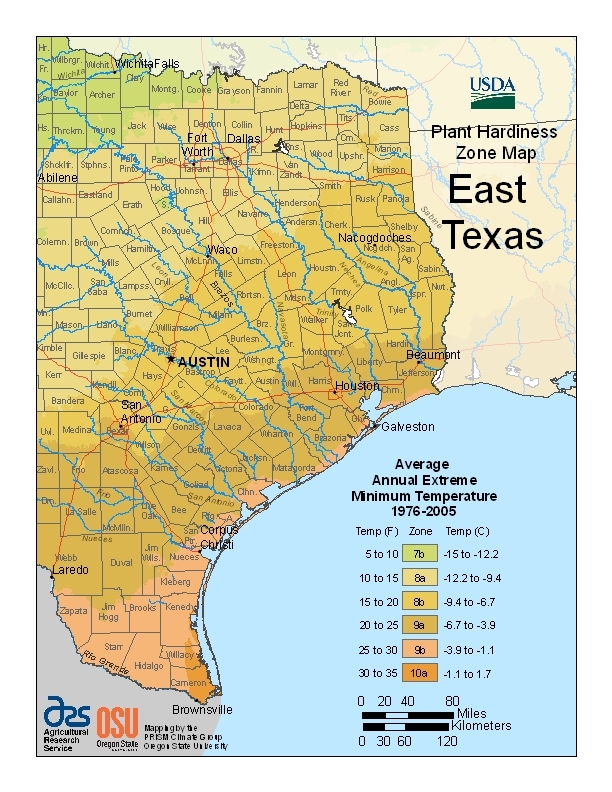 Read more on plant hardiness zones in San Antonio and East Texas, rules and regulations of the city concerning trees, information on the state tree of Texas, and more! Services – Ready to get a tree or start getting your current trees in top form? Then see which arborist on our list of all the tree service professionals in the San Antonio area is closest to you and call. How Much Do Tree Services Cost in San Antonio? Hot, humid summers in San Antonio, Texas are mitigated by having shady trees to sit under. To have those though, residents need to do regular maintenance on them throughout the seasons before summer: trimming, pruning and cutting to ensure tree health. Learn more about what San Antonio residents pay on average for tree care so you can know prices and get trees up to snuff before the next heat wave hits the city. Tree removal in the city of San Antonio costs residents about $774 on average. If disease, drought, or other circumstances happen to end the tree’s life prematurely, it’s best to taken it down before it takes out power lines, ruins yards or causes any other unwanted damage. This price can change and go lower to about $631 or rise to about $917, depending on the type of tree, its circumference around the trunk or special circumstance concerning the tree’s proximity to power lines or the house. If a tree’s already been removed but the stump’s still there, then removing it will cost residents between $200 to $250 on average and take about five hours on the part of the arborists. Whether they grind the stump down into wood chips and leave it in the ground or uproot it completely will determine the end price. Speak with your arborist about what works best for your budget and yard plans. Tree maintenance in San Antonio will cost tree owners an average of $508, depending on the season, type of trees, number of trees and the state they’re in when the arborist first comes out to prune, trim or cut them. With regular maintenance, the price could come down to $431, or it could rise to $585 if they don’t come out often enough to do tree maintenance. Speak with the arborist about setting out a plan. San Antonio deals with 100-plus temperatures and 100 percent humidity in the summer, meaning that a tree is a godsend. It’s important to know what kind of trees to plant in that region though, so that old residents and new in the area do not plan one in the fall that dies under the extreme heat in the summer. Consider these facts and rules about the city before buying your next tree. The best time of year to remove a tree in San Antonio is in January and February. In the cooler months, there’s less new growth, making pruning and maintenance easier. This will make uprooting them from the ground easier as well, as the roots will be easier to get out from the ground as compared to during the summer. Schedule an appointment to have the tree removed or heavily pruned around these months with an arborist if possible, unless the tree is in a diseased state or a danger to the home or power lines. There are some fruit trees that can endure the summers in San Antonio and yield fruit during harvest season. These include apples, peaches, pears, plums, persimmons, plums, nectarines, and figs. Citrus fruits, while they enjoy warm heat temperatures in places like California and Florida, cannot endure the level and length of heat that San Antonio offers. The problem with areas like San Antonio is that drought years can kill a lot of trees. In 2011, the severe drought in Texas killed half a million trees, and it was across the board of species. So planting any trees in San Antonio that need a lot of water runs a high risk of dying during the summer when there’s little rainfall and a good chance of water shortage. It’s best to stick with the native trees. Oak wilt is a major disease in the San Antonio area, affecting many of the trees and infecting almost a dozen of them every month. This disease can be deadly to oak tree if not treated properly and almost immediately when first spotted. Another is fire blight, which is attacking fruit trees like pears and making them appear as though they’ve been scorched by fire. It’s important to be aware of these diseases and protect your trees against them if possible by talking to an arborist. City Public Service Energy, San Antonio’s utility company, recommends utility-friendly, understory trees whose maximum height is 25 feet can be planted within five feet of power lines and within 10 feet of power poles. 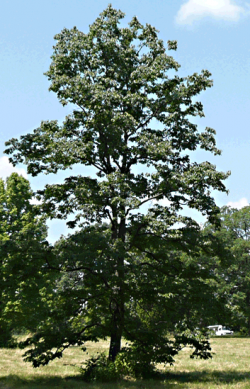 Plant canopy trees with a height of 30 feet or higher should be planted at least 25 feet from utility lines. The utility company also comes around and will prune vegetation if it’s too close to the power lines, so it’s important for residents to maintain their trees, unless they want a bad cutting job performed on their trees.